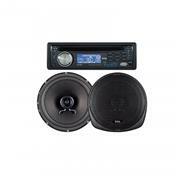 Cruise to your favorite tunes with the BOSS Audio 647CK Receiver and Speaker package. 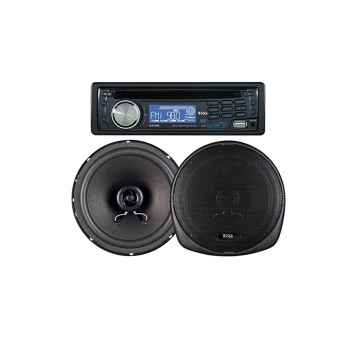 Included in this combo kit are the 637UA In-Dash Receiver and one pair of CK65 2-Way 6.5" Speakers with a Poly Cone Woofer. Pop in a CD, turn on the AM/FM radio, hook up your MP3 player or smartphone to the Auxiliary input or plug into the USB port to enjoy your own playlists. For peace of mind when leaving your vehicle, quickly detach and store the front panel of the Receiver. Take your music to the next level with the BOSS Audio 647CK Receiver and Speaker Combo.